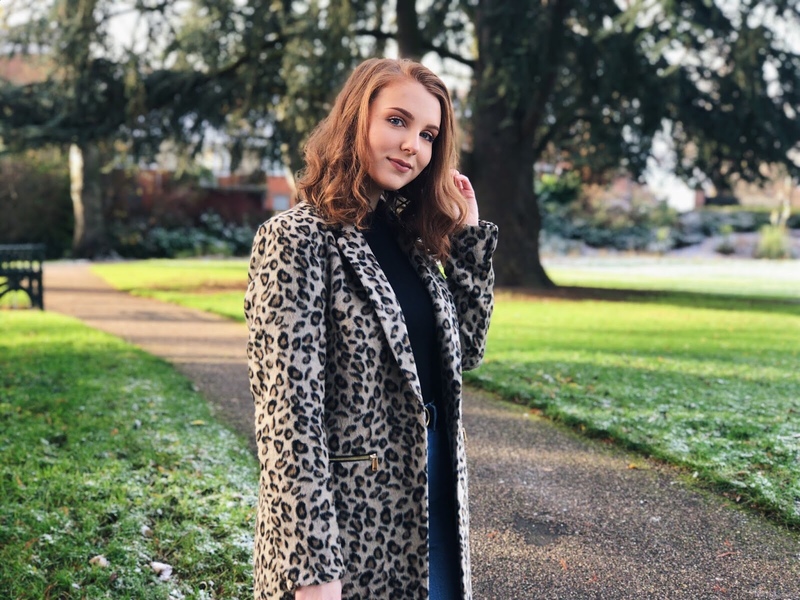 Managing both regular life and a blog is hard, but as you know I am a huge fan of my bullet journal to plan my life and take away a bit of that pressure. 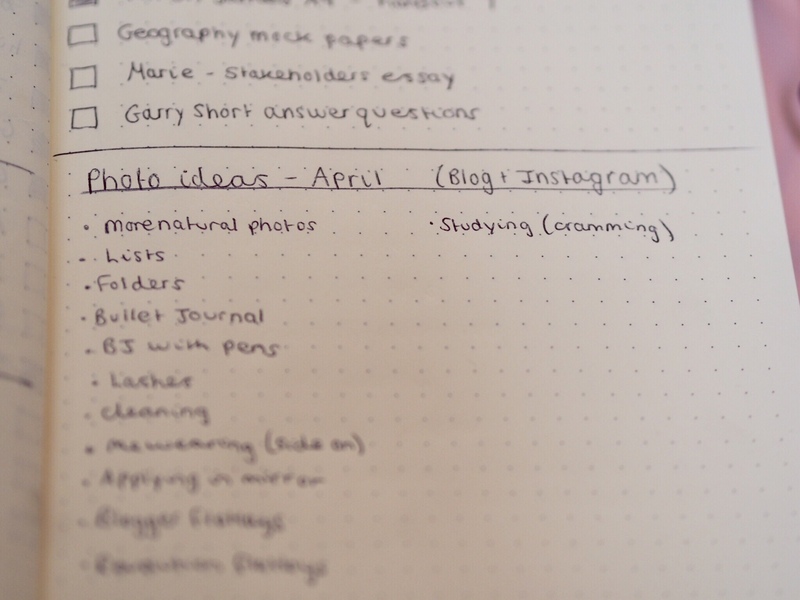 I think that if you are a blogger, using a bullet journal to plan and organise your blog is often overlooked, as often not only your blog but the behind the scenes is on your laptop. As much as I love the internet and blogging, I am still a pen and paper girl and I couldn’t live without my bullet journal to organise everything blog wise. Today I thought I would share some of my favourite spreads for when I’m blogging, and what works for me. Before we start, I need a little disclaimer and that is my bullet journal is very much a practical entity. I am not particularly an arty person and this is reflected in the idea that this journal is by no means perfect. I don’t use fancy watercolours or lettering, and if the perfectly presented spreads are something you are interested in then I would click off this and look at another bullet journaller. There are so many amazing bloggers online with beautiful creative bullet journals, but mine is solely for practical purposes. Got it? Now lets move on. Some people have two bullet journals (one for their personal life/work and one for their blog), but I only have one. If blogging was my full time job I would consider having two to distinguish between life and work but it’s only part time so I don’t do enough to justify having two journals. I find it easier to have my whole life in one place, and my blog is an extension to my life and my lifestyle anyway, so it makes sense. 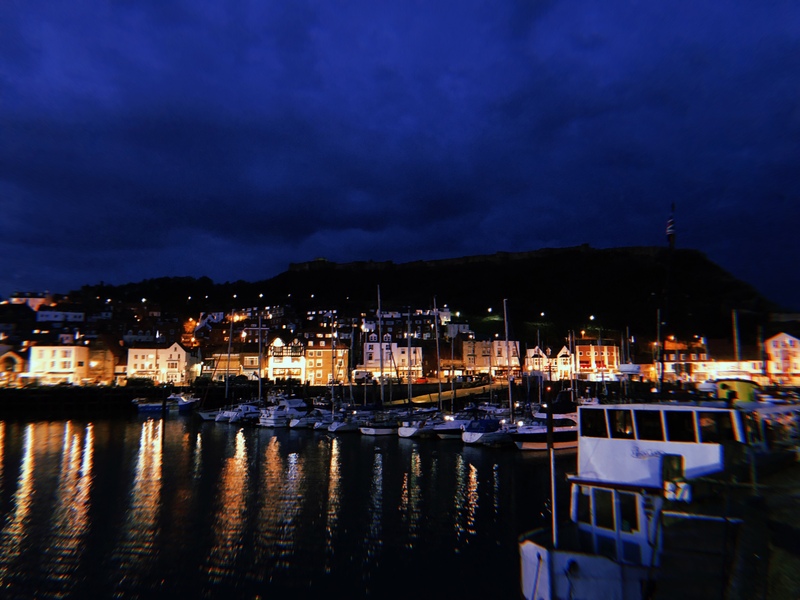 For example, in my bullet journal I will often write down when I am going on holiday, but that also links to my blog as that is when I will be doing travel posts. 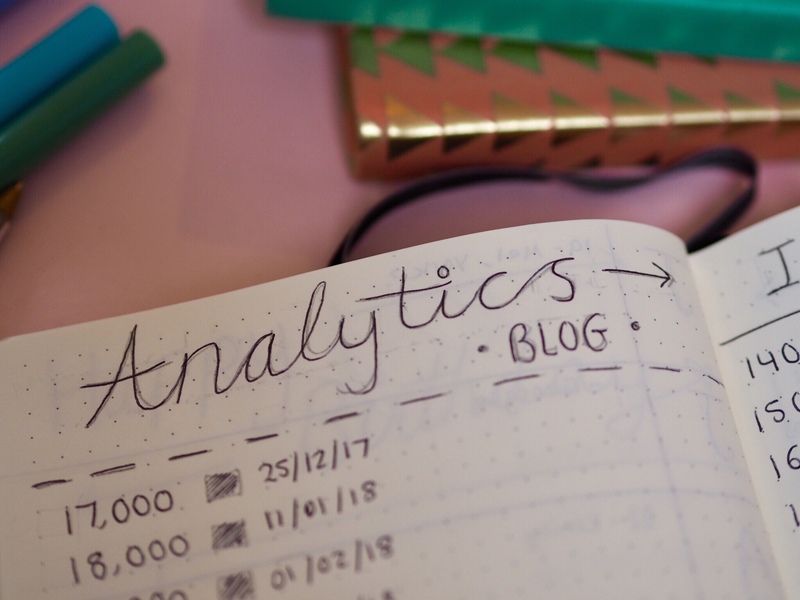 I think the main thing that I use my bullet journal for that directly links to my blog is an analytics tracker, and this is one of the first pages in my journal so I can constantly reference back to it. Obviously it’s not all about the numbers but equally it is good to have everything in one place so I can see my growth on different platforms over the course of the year. Instagram doesn’t seem to be liking me at the moment (I seem to gain hundreds of followers but equally lose hundreds, which means that I have only gained about 80 since the new year) but I do like seeing this on paper, mainly to see if anything I do makes a difference. I do try to keep up with my blog analytics and I love seeing dates that I hit certain milestones to see how quickly my platform grows, I’m always blown away by the amount of you that read this now… its crazy! 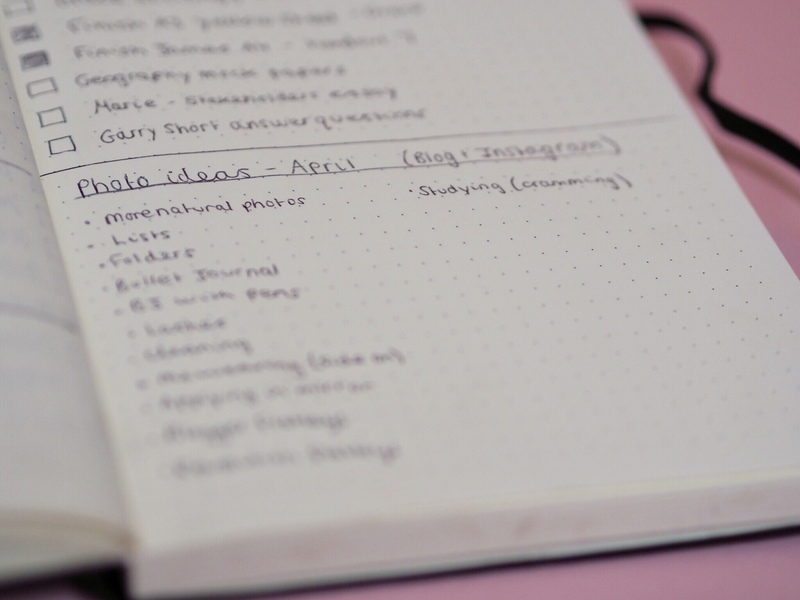 I always have a blog post planning page somewhere in my bullet journal, because I think its really useful if you get a sudden idea or burst of inspiration. I have my actual blog post schedule on my laptop (which just shows that each thing does just depend on what is easiest for you) so I use this page in case I have an idea that I need to write down or else ill forget it. 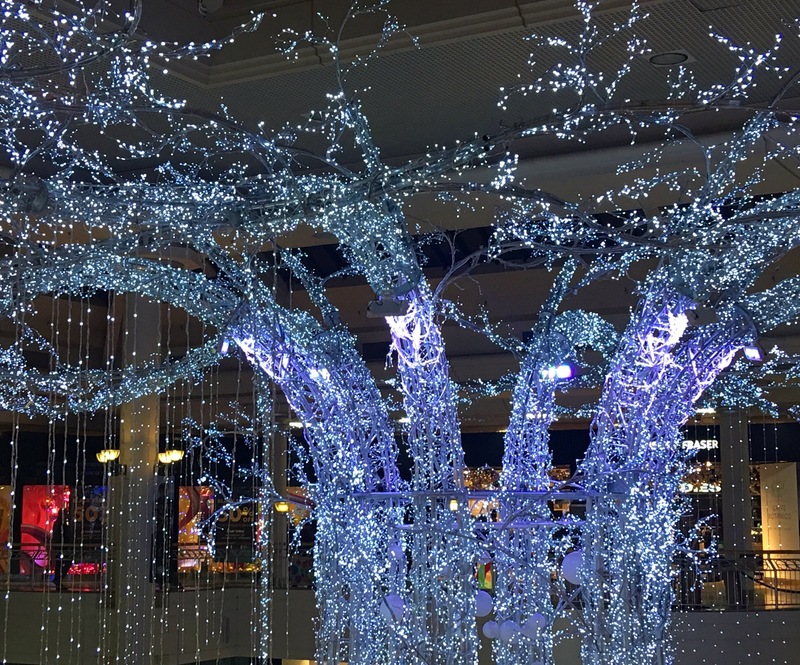 I always like to plan in advance, and as a blogger I utilise holidays, seasons and events, so this page is just a load of ideas that I can refer back to. 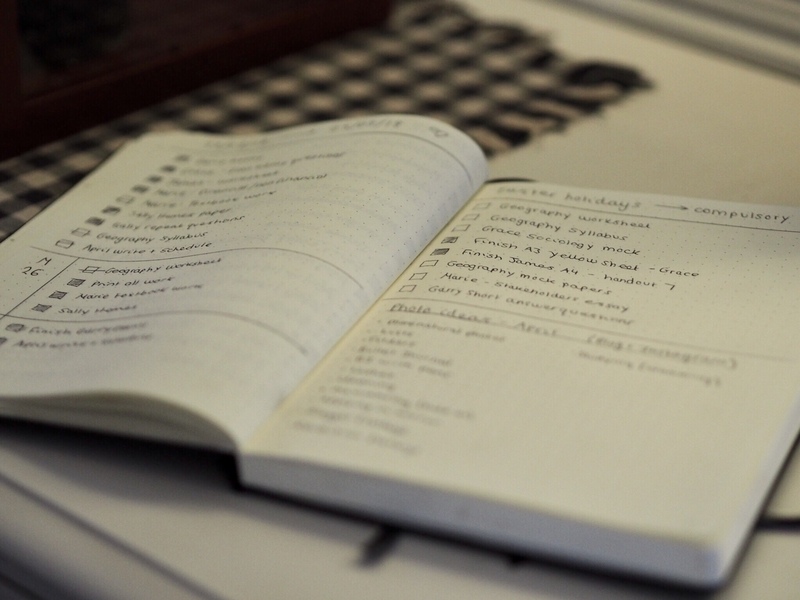 For example, my birthday is is June and I have a lot of blog post ideas that I want to write about so when I have inspiration I always write them either in my bullet journal. If I have a lot to do both at college and on the blog, I tend to use post it notes to distinguish between sixth form tasks and blog tasks. 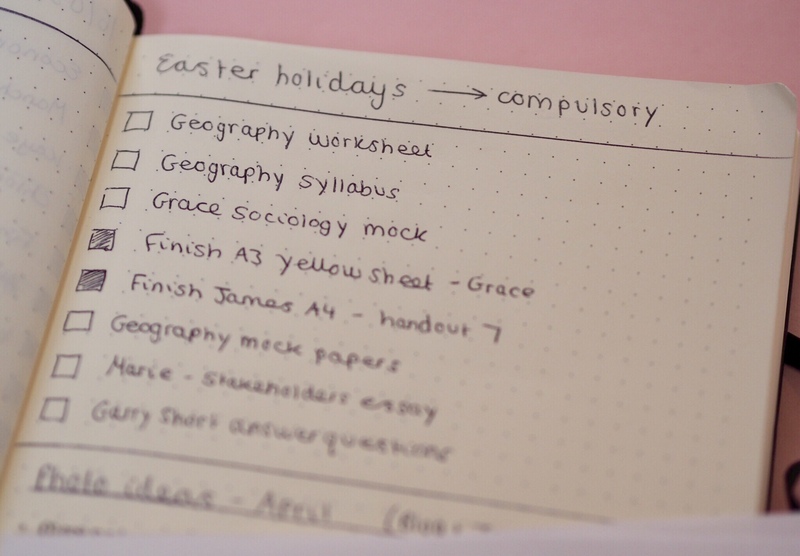 I find this is a good thing to do if you are starting to feel overwhelmed as even though my blog is important, when it comes down to it the A level tasks need to be completed first. 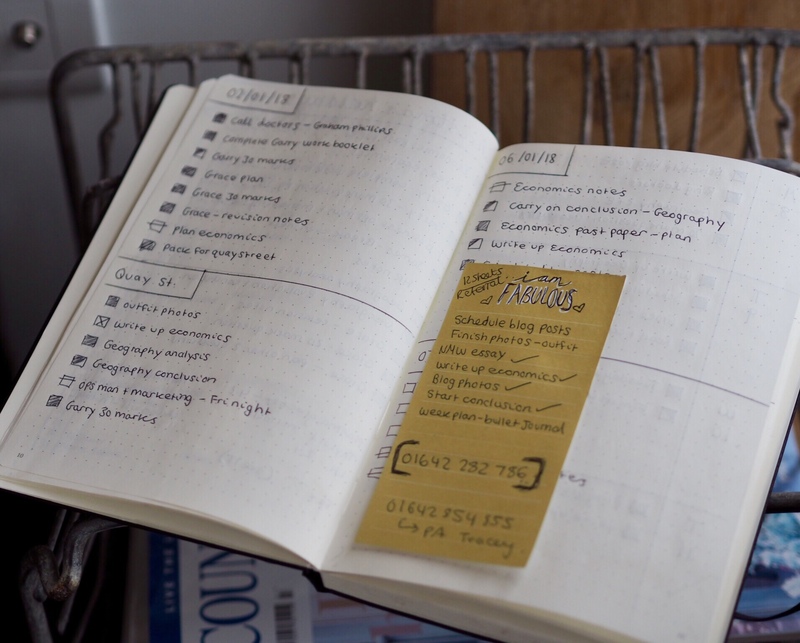 Post it notes are actually good for so many things in my bullet journal, and I actually have list style ones that tell me that I’m fabulous on the top of them… so what more do I want? Hashtag list- Ive seen this going around Instagram, and I really like this idea! 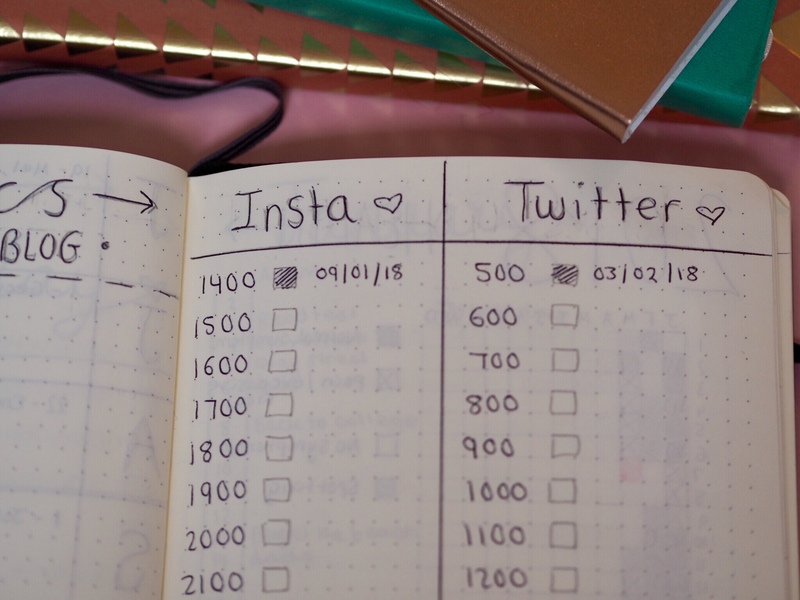 Its often hard to keep up with hashtag groups and different hashtags to use so this list in your bullet journal would make it easier to have them all in one place. I will definitely be doing this when I have chance to formulate all my favourites! Instagram plan- this would be useful to see what photos you are posting on what day and plan out your feed a bit more, especially if you are a busy person and just want to post and go! However for this I use UNUM, which is an feed planning app which I love (and is free!). Finance tracker- with blogging being part-time I don’t earn enough to justify a whole section purely on finance, but if you do earn a good amount from blogging then this could be a good feature to track in your bullet journal. Just make sure that no personal information is revealed (like bank details), in case you lose your planner one day! Goals page- I hate writing down number goals because then I get into a mindset that I have to meet them and then I end up focusing on the numbers instead of the quality of my blog, but if this works for you then it could be a useful page to add! I really hope this has helped my fellow bloggers out there if have recently started a bullet journal or are considering starting one soon. 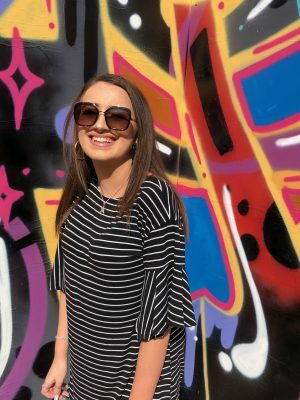 I think that it is such a good way to manage your blog and has really helped me merge both my blog and personal life together in a way that keeps me on track with all tasks. I don’t know what I would do if I lost it! As always thank you so much for reading this, I really appreciate all the support I have had recently despite me not uploading as frequently. I love the idea of using your bullet journal in this way. I’ve tried and failed to keep a bullet journal on several occasions (I keep up with it for a few days, and then forget about it, or stop marking off the things I’ve completed–I work better having things in front of me on a computer! ), but these sound like some amazing ideas. I love the idea of having a page dedicated to Instagram hashtags; I’m CONSTANTLY forgetting which ones I regularly use until I’m at the point where I need to start writing hashtags. Thank you! I’m so glad that this post was helpful, and I’m definitely going to do a hashtag list in the future! Thank you! Omg you should definitely start one, it’s the best thing and has made me so much more organised! I so needed this post! It’s great that there are other people out there who use their bullet journal more practically then in an arty way. 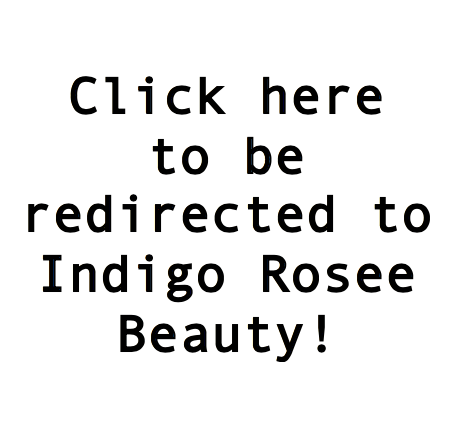 I’ll try out some of the pages to keep on top of my blog. I couldn’t use mine in an arty way, I’m too much of a perfectionist and would spend hours just trying to get it perfect then give up 😂 let me know what you try and whether you like them!